Figuring out how to pay for college can create stress and worry for many families. Understanding the basic application requirements and timelines helps to reduce the anxiety and the worry parents and guardians experience when students first apply for aid. Our role is to help students obtain the financial resources needed to pay for college and to reach their academic and career goals. Please look to us as a resource. To access details for all our processes, requirements and forms go to the financial aid website. Help your student understand financial aid better by reviewing the website together. Parents of dependent students (as determined during the application process) may wish to take out a Federal Parent Direct PLUS Loan to help pay for college. Your credit history determines your eligibility. If denied a PLUS loan, your student may qualify for additional loan funds. 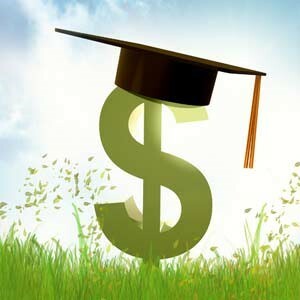 The maximum loan amount is the Bellevue College cost of attendance minus any other financial aid your student receives. To apply for a PLUS loan submit the Parent PLUS Loan Application, and follow the additional steps as indicated on the form. The first step in applying for aid is for you and your student to complete the FAFSA (Free Application for Federal Student Aid). The FAFSA determines eligibility for state, institutional, and federal aid, including student loans. Students and parents complete the FAFSA once for the academic year, and must renew their application each year they plan to receive aid. The FAFSA determines the status of your student as dependent or independent based on the answers to specific questions on the FAFSA. By regulation, parents of dependent students must provide financial information on the FAFSA, even if your student does not live with you, you do not claim your student on your taxes, and/or you provide no support for your student. Unless you legally adopted your student, guardians and other relatives do not provide information on the FAFSA. If your student has no contact with at least one parent, your student may qualify to complete the Petition to Apply for Aid without Parent Information. Contact the Financial Aid Office or come to Student Central for more information and access to the petition. To receive aid, your student must complete the Admission process. After admission, your student should set up a NetID and email account. We send all communications to your student via the BC Email address. After submitting the FAFSA, we send your student an email explaining next steps and information about other forms and documents your student must submit to the office. Ask your student to use the Financial Aid Portal to see if information or documentation is missing. We review, process and then award application files in the order completed. A complete file means that your student submitted all required documents and information to our office. Check the Student Central calendar for the application file deadlines for the quarter in which your student wishes to begin taking classes. Missing the deadline means that your student must pay tuition and fees, and purchase required books for that quarter. Reimbursement of these costs occurs based on your student’s eligibility for aid, and once we review, process and then award the application file. We generally begin processing files for the upcoming year in March or April. This means it may take several months before your student receives an award letter email indicating the types and amounts of aid provided. We also send an email if your student is not eligible for aid. Ask your student to use the Financial Aid Portal to view award information and amounts by quarter. Sometimes during the review process, we find that we need additional information. If this happens, your student does not lose the original date of file completion. Once your student submits the required information, the review process continues within a week. We hold awarded students in their classes until financial aid pays tuition. We pay tuition shortly before the quarter begins. Once tuition is paid, we send your student the balance of aid in the form of a refund check to the address we have on file. Students may use this link to update contact information. If the awarded aid does not cover the full cost of tuition and fees, your student must pay the balance owed on or before the first day of the quarter, or within 24 hours if after the start of the quarter. We hope to provide an electronic option for disbursing refunds by the end of winter quarter 2017.
Review the Satisfactory Academic Progress rules with your student. Dropping classes, not showing up to classes, and poor grades may result in cancellation of future aid. Financial aid can pay for required classes only, and prerequisites needed to take required classes. Taking classes outside degree or certificate requirements may result in cancellation of future aid.